Anita Kovacevic has taken the romance genre and turned it on its ear with her creative book “Average Daydreamer”. This is a sweet, but not sugary sweet, story of a thirty-something, successful business woman who is also painfully single. Priscilla Parker regularly daydreams of finding the ideal man. The fact that her best friend, Petra, is getting ready for her wedding increases Priscilla’s search for Mr. Perfect. The character of Priscilla is delightful. As the tale unwinds Priscilla’s personality explodes from the pages. Amusing, tender, and a little kooky she endears the reader with her daydreams of a doctor, a fireman, and a choreographer among others. During her lucid moments she works hard and indulges her love of sandwiches, muffins, and coffee from a diner near her workplace. Carlo owns the eatery, aptly named Carlo’s, and works alongside his somewhat sultry wife and his employee Jonah, fondly known as the Baker Boy by our heroine. When she is unexpectedly called to her parent’s home she runs into an old male friend. Perhaps he is Mr. Right. That would certainly please her mother. Things look even brighter when Dr. Jack turns out to be the village doctor who is also caring for her father. Priscilla eventually learns that sometimes the things you are desperately searching for are right under your nose. This is a charming book that will keep any reader’s attention waiting to see what misfortune will befall Priscilla next. She stoically moves forward, happily daydreaming until reality finally catches up with her. Skillfully interspersing daydreams with reality Kovacevic carries the reader along in this easy to read romance filled with humor and lively characters. I highly recommend this book for a fun summer read. Anita Kovacevic is a multigenre author and teacher. She teaches English as a second language and is a firm believer in storytelling. All of her children’s books (Winky’s Colours, The Good Pirate and Mimi Finds Her Magic) contain positive messages for children and adults who read with them. As a member of an international teaching community, Anita has also contributed to the worldwide charity anti-bullying e-book Inner Giant, which features some of her YA short stories, essays, illustrations and poems. Anita also writes adult fiction. 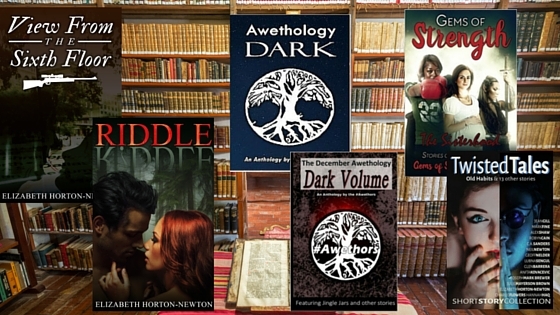 Her novella The Threshold is available on major purchase sites, and her story contributions are featured in these anthologies: Awethology Light, The December Awethology and Twisted Tales. Working on several children’s stories, and editing her adult novels and stories, she always has several projects on the go. 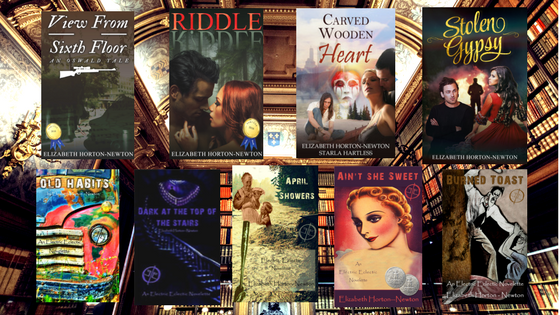 She interviews authors and reviews books of various genres on her wordpress blog. In her free time, she loves reading, writing songs, drawing and, as her son eloquently puts it, ‘creating stuff from nothing’. Anita lives with her husband and two children in Croatia. This is a lovely book and it was a real pleasure to read. I think I may have seen a little of my younger self in Priscilla. Previous Previous post: You’re Such a Character!